My USB business card fits into my wallet and holds 8GB worth of data! Does yours? I smile when I recall the exchange of contact information via IR synch with Palm Pilots and Handspring PDAs. The good old business card did not cut it anymore; without a synching PDA you were not in synch with the progressive and technologically savvy professionals. Even though it may have looked silly, it was a handy feature that enabled a speedy exchange of contact information. Rather than rely on manual methods for storing or inputting the data into the device, now it can be done in a snap. Come to think of it, our extremely powerful smartphones lack that kind of simple feature. Interestingly, the PDA revolution did not really eliminate or significantly diminish the paper business card. 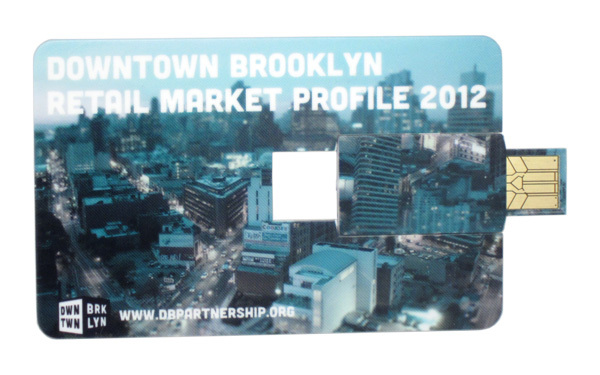 Quite the opposite; the PDAs caused the business card market to offer increasingly luxurious and unique print business cards. It remains true that a great looking card can impress and can make your introduction much more effective. 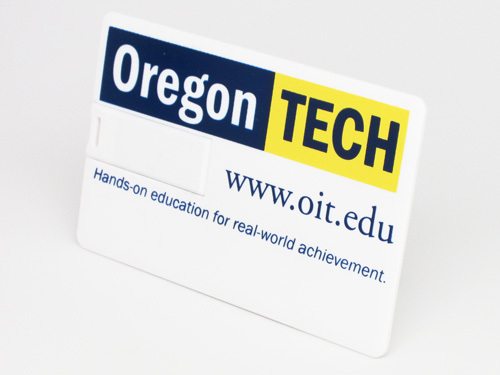 Naturally, we need a way to combine a business card with the ability to store data in it for the promotional purposes. When an introduction is made, one should be able to provide contact information along with catalogs, presentations, forms, music, videos, or anything else digital. “Impossible!” you say? Oh.. it is possible and there are numerous options available. 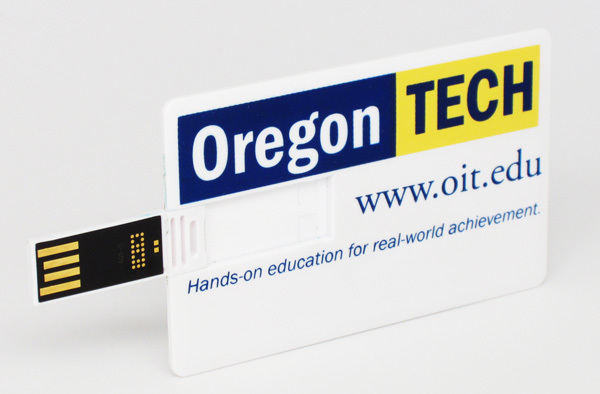 This is only a single model of the USB card with a rotating USB connector. 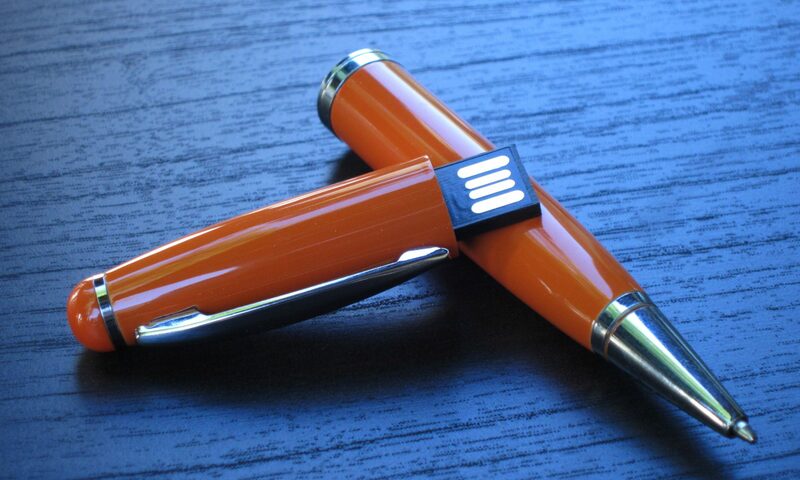 It can hold anywhere from 64MB to 16GB. Full color printing and silk screen printing methods can be used as well as full coverage printing to cover the entire card (front and back). 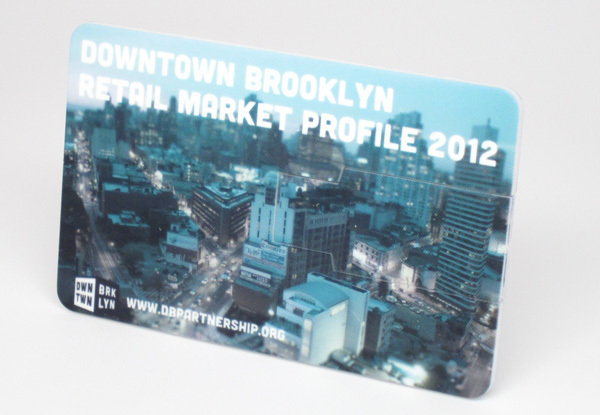 Metal alloy cards of the business card size are also available, and are super cool for creating the ultimate impression. If you care to check out more models and details, check out our website. 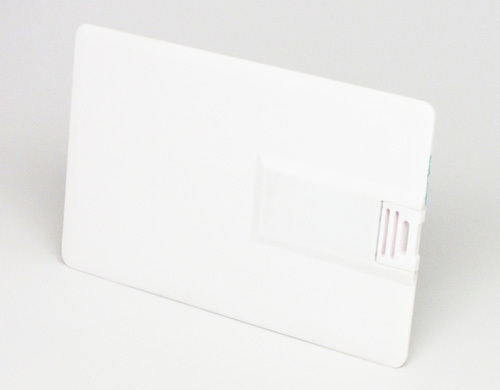 The USB card is compact, and with an easy flip can connect to a computer’s USB port. Print all your business relevant information front and back, and load it with any data you want your clients to see. You will not only impress on introduction, your potential and current clients will continue using it for accessing your data and storing theirs.